USMEF invited chefs from local hotels and restaurants to offer cooking demonstrations using alternative cuts of U.S. beef. 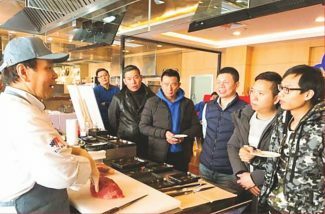 Continuing its effort to re-introduce U.S. beef in China, USMEF hosted traders, retailers, chefs and foodservice professionals for a series of training seminars on U.S. beef alternative cuts. In all, 13 companies participated in the workshops, which were held over a three-month period and funded by the Beef Checkoff Program. 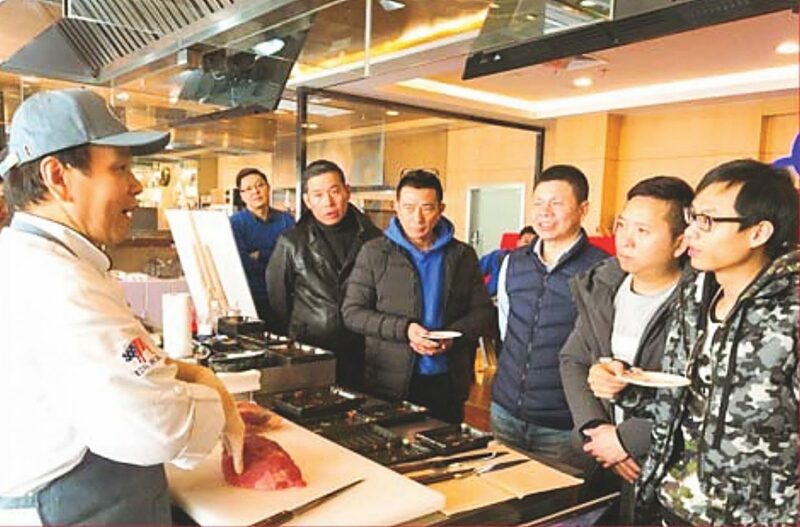 Kody Zhong, a USMEF butcher and chef who is especially familiar with China's domestic retail market, presented cutting and plating demonstrations using various U.S. beef cuts. Zhong also shared tips and advice on defrosting techniques and suggestions on foodservice cost control. "For example, Chef Kody knows how much people in China love eating hot pot, so we tried a hot pot experiment using bottom outside round, strip loin, brisket, short ribs, ribeye and so on," Liang said. "Participants were very impressed with what could be done with these cuts and some of the advantages of using them, not only from a price standpoint but also from a taste and flavor perspective." USMEF's training program featured chefs from five-star hotels and fine-dining restaurants who presented cooking demonstrations in western, Japanese and Chinese styles. 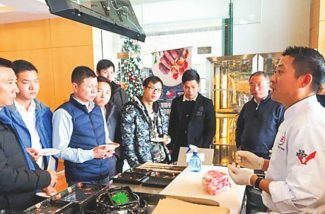 The final training session, held specifically for the Mei Quan Food Company, included 27 Chinese chefs who gathered to discuss recipes suitable for the country's restaurants and home cooking by consumers. U.S. beef dishes served during this session were quick-fried chuck tender with matsutake, braised beef heel muscle in soy sauce and flap tail with red wine poached pear. Liang said trainings are an important part of USMEF's approach to growing U.S. beef demand in China. The market re-opened to U.S. beef in the summer of 2017 after being closed for more than 13 years following the 2003 BSE case. "Before the BSE-related ban, the U.S. was China's largest supplier of imported beef," said Liang. "Statistics show that beef consumption is growing in China. In 2016, China consumed around 8 million metric tons, and it is expected that consumption will continue to increase as China's growing middle class demands more beef." As this trend evolves, many restaurants in China have updated menus and retailers have begun to put U.S. beef back on shelves. "For most consumers, imported beef is always associated with fine-dining restaurants or expensive steakhouses," said Liang. 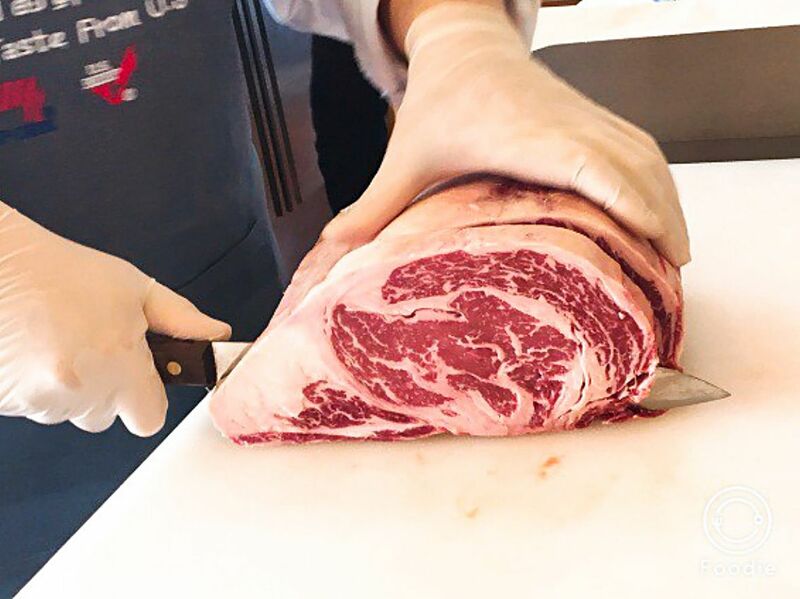 "To put more U.S. beef on Chinese tables, USMEF is placing more emphasis on secondary cuts, applications for those cuts and new recipe development."